Nine hundred twenty two students have been named to the Ventura College Dean’s List for the Fall 2008 semester, according to Dr. Robin Calote, college president. Thirty four are from the Fillmore and Piru communities. To earn this honor, a student must have achieved a 3.5 or higher grade point average (GPA) while carrying 12 or more units. Piru: Sara Lara, and Ileana Tamayo. We are looking for adults, and high school students to come and help with the judging of our Science Fair projects. For those of you who participated last year, thank you. We will be holding the event on Tuesday, March 24, 2009. The Science Fair will be after school, the Space Shuttle Café will be here about 5:00pm. 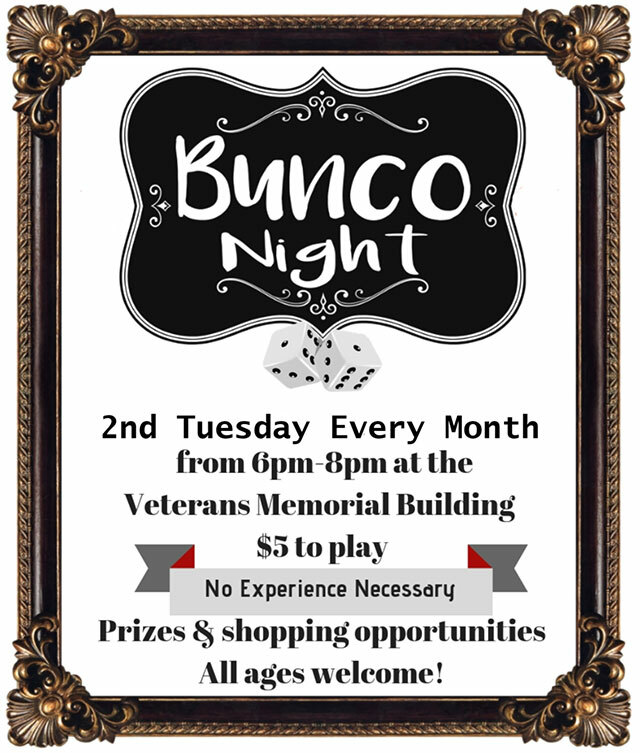 The activities will be from 6:00pm-7:30pm. Judges would need to come between 2:45 and 3:00. If you needed to be a little later, that would also be okay. It usually takes 45 minutes to an hour to judge all of the projects, but if you can only give us 30 minutes, we would appreciate it. Rory Maus will provide you with a quick overview of the judging form, a clipboard, and pen when you show up to judge that afternoon. In conjunction with our science fair, San Cayetano School is planning its Second Annual Family Science Night- This year open to all students in the community!!! We are so excited to be planning this event, for not only our students, but the entire community. There will be more than 10 hands-on activities, and the Space Shuttle Café will be here to provide dinner, San Cayetano’s Science Fair will be on display, and much more to come. 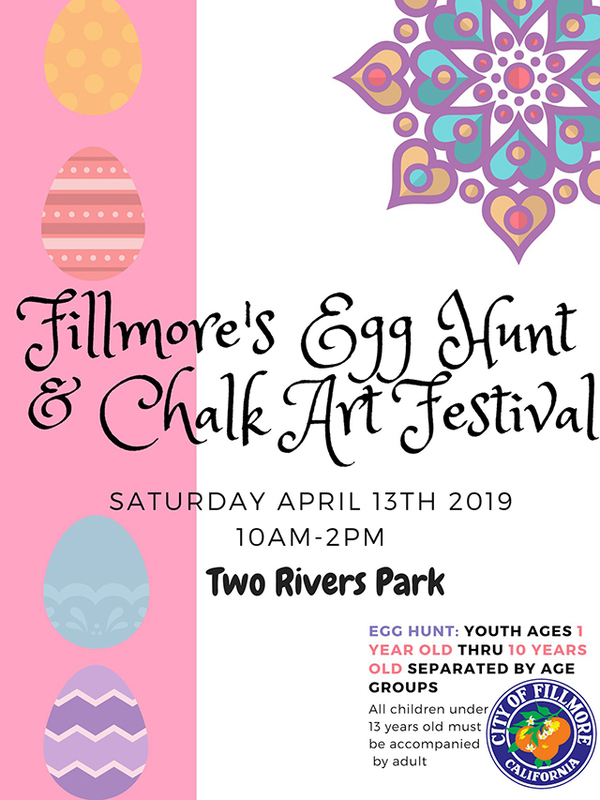 This is sure to be the biggest hands-on community event for students and families ever in Fillmore!!! Look at what agencies will be here with hands-on activities starting at 6PM: Mobile Marine lab , NASA Videoconferencing with JPL, Robotics, Channel Islands National Park, Dept. of Water resources, California Oil Museum , UCSB Physics Circus, SBVC Dental care Foundation, United Water Conservation District, California Condor Recovery Program And the Ventura County Astronomical Society!!! where the word materials appears. specific topics at subsequent meetings. end of the regular meeting. 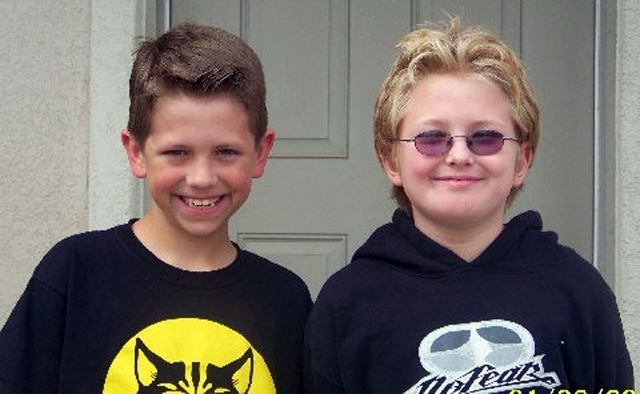 Luke Myers and Dillon Galarza. The Area 5 spelling bee included schools from Santa Paula, Fillmore, Briggs, Mupu, and Santa Clara districts. Luke Myers along with Sabrina Vasquez, a 13 year-old student from Mupu, were both declared the winners after spelling all of their words correctly. 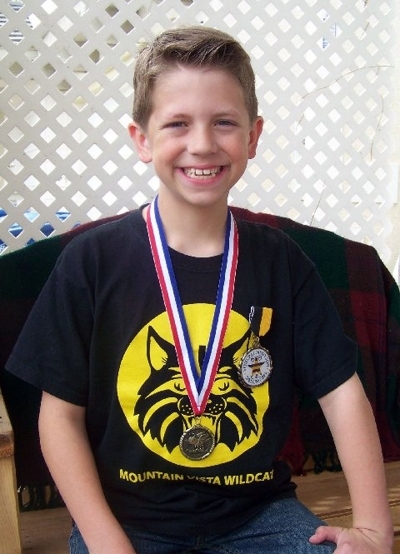 Dillon Galarza, a fourth grade student from Sespe Elementary, is the alternate for the county bee. The county bee is on March 9 at 6:00 p.m. at California State University Channel Islands. There will be representatives from 10 area bees competing. The winner of that competition will be heading to Washington, D.C. for the Scripps National Spelling Bee. 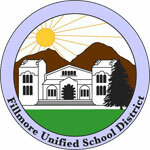 Fillmore is proud of both Luke Myers and Dillon Galarza for all their hard work and for representing Fillmore so well! Please come out and show your community support at the county bee! Due to the Fillmore High School Girls Varsity Basketball Program making to the CIF Quarter-Finals, the Mother-Daughter Tea scheduled for Wednesday, February 25th has been rescheduled and will be combined with the first practice. First Practice (& points will begin) WEDNESDAY, MARCH 4TH - 5:30PM - Memorial Building. Norbert Tan, Executive Director of the Ventura College Foundation announced that twenty students have been awarded Phoenix Scholarships of $1,000 each. Dave Bianco, Ventura College Foundation Board Chair, said, “These scholarships are a program of the Ventura College Foundation and named for the Phoenix Rising – symbolizing new beginnings. 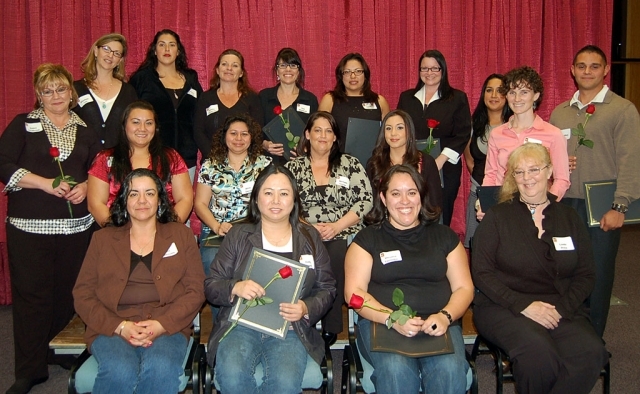 It is a special program for re-entry students at Ventura College created in 1999 by several of the Foundation’s board members.” The Phoenix Scholarship Awards Ceremony was held February 18 in Guthrie Hall on the Ventura College campus. The scholarships were presented to the recipients by Foundation Executive Director Norbert Tan and Development Director Diana Dunbar after The Honorable Colleen Toy White, Ventura County Superior Court Judge, member of the Ventura College Foundation board of directors and a Ventura College re-entry student herself, welcomed the attendees and provided a history of the program. 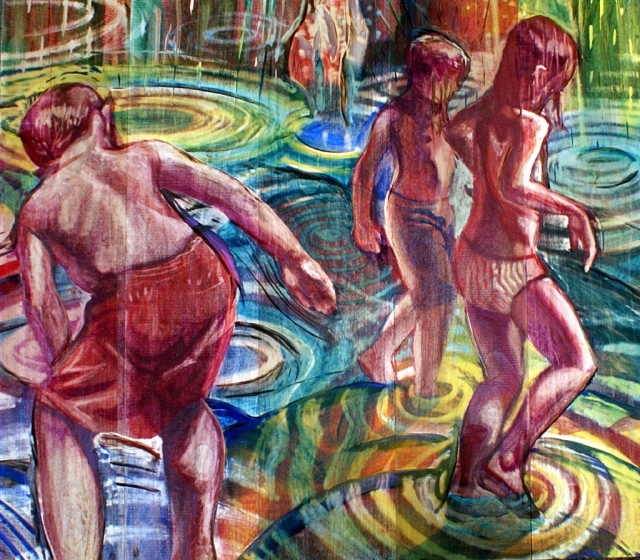 "Deluge" by Cathy Day Barroca is one of the pieces that will be on exhibit at the Ventura College Art Faculty Exhibit. The two Ventura College art galleries, Gallery 2 and the New Media Gallery, will present the Ventura College art and photography faculty in an exhibit running from February 26 through March 26. The reception for the artists is February 26, from 7:00 p.m. to 9:00 p.m. on the patio by Gallery Two, and the press and the public are welcome to attend. Refreshments will be served. Students staff both galleries. This semester the galleries are scheduled as follows: Monday through Friday, Noon – 4 p.m. For additional information and changes on hours, call Kate Martin, gallery director, at Ventura College, (805) 648-8974 or contact her by email at kate@katemartin.com. Following an announcement by the Ventura County District Attorney’s Office of the arrest of a former Ventura College coach, officials at Ventura County Community College District (VCCCD) believe the investigation of the men’s basketball program at Ventura College will soon come to a close. “This has been a long and arduous process for everyone, but we are confident the District Attorney’s Office has conducted a complete and thorough investigation of this matter,” said Dr. James Meznek, Chancellor. VCCCD has been investigating allegations of misconduct by athletes and coaches in its intercollegiate sports programs at Ventura College, Oxnard College, and Moorpark College. VCCCD hired an independent, third-party investigator immediately upon learning of the allegations in late 2007 and has been working closely with the Ventura County District Attorney’s Office to resolve the matter. The public may review or request a copy of support materials provided to the Board Members where the word materials appears. 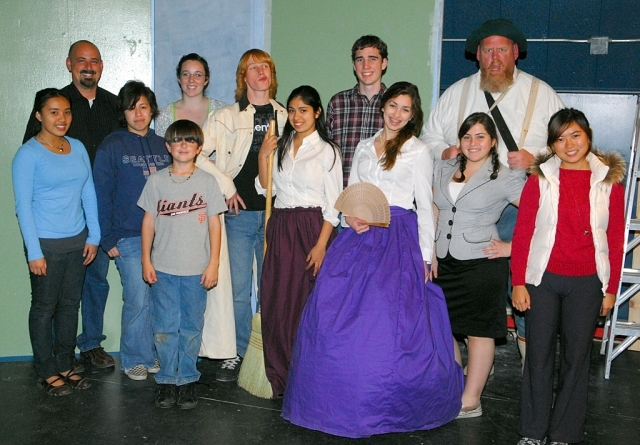 Pictured above are the cast members of the F.H.S.Drama Club play “Trouble in Dustville” directed by Josh Overton, (l-r) Shervina Annie, Overton, Rachel Kamradt, Ian Overton, Andie McDonnell, Hans Bergskamp, Imelda Lopez, Vincent Ferguson, Natalie Garnica, Samantha McHammell, Joe Woods, and Samantha Wu. Not Pictured: Dylan Galarza. Camarillo, California – On Wednesday, Feb. 18, the Ventura County Office of Education (VCOE) releases its annual report, Focus on Education: Focus on Results, a comprehensive report detailing the most recent achievements of Ventura County students. A copy of the 16-page color report will be published and distributed in the Ventura County Star newspaper on Wednesday. Also, Ventura County residents and educators are encouraged to view the report on the VCOE Web site, www.vcoe.org. 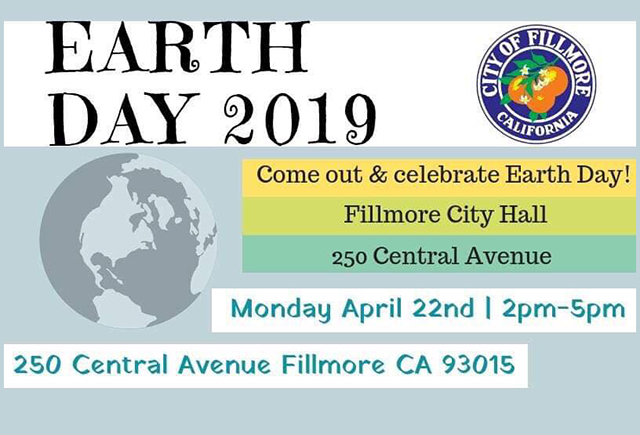 The Fillmore High School graduating class of 2009 is on track to set several academic records at graduation including the number of valedictorians, recipients of the California Golden State Merit Seal Diploma, students earning California Scholastic Federation honors, scholarship, etc. The last league game of the girl’s basketball season is Thursday at 7:00 – it is Senior night, so be sure to come and see the senior girls play their last home game! Boys’ basketball has a game on Friday at Villanova, and they are busy getting ready for play-offs. Boys’ soccer won both their JV and Varsity games against Malibu on Monday, and they have games against Oak Park and Santa Paula later in the week. Girls’ soccer lost Monday to Nordhoff, but they will be playing Oak Park on Wednesday. The Drama Club is putting on a play, “Trouble in Dustville”, directed by Mr. Overton. It is a Melodrama, set in the Old West, and would be suitable for adults and children alike, provided children are in kindergarten or older. “Trouble in Dustville” will be showing at the high school drama room at seven pm the last two weekends of February. Senior citizens, children, and students with an ASB sticker may purchase tickets for $5, adult tickets are $7. Pre-sale tickets may be purchased from any cast member, and tickets will be sold at the door as well. Attending the play is a great way to show support for the Arts in our community. For more information, please contact the student store at 524-8491. As part of National Engineering Week, Fillmore Middle School will be the site for Fillmore’s first annual Science Night (Noche de Ciencias) on Thursday, February 19 from 5:30 to 8:30 p.m. in the Fillmore Middle School gym. At this fun and informative event, Ventura College engineering, math and science students together with engineering professionals and FHS MESA Club students will guide Fillmore Middle School and High School students on hands-on projects to help them learn more about the value of science, engineering, math and the power of a college education. There will prizes awarded for various projects and door prizes as well. Kindergarten registration will be held from 8:30 a.m. to 3:30 p.m. on March 23 - April 3, 2009, at San Cayetano School, Sespe School, Mountain Vista and Piru School. Piru residents may register at Piru School. Parents are to register at the school site within their boundaries. 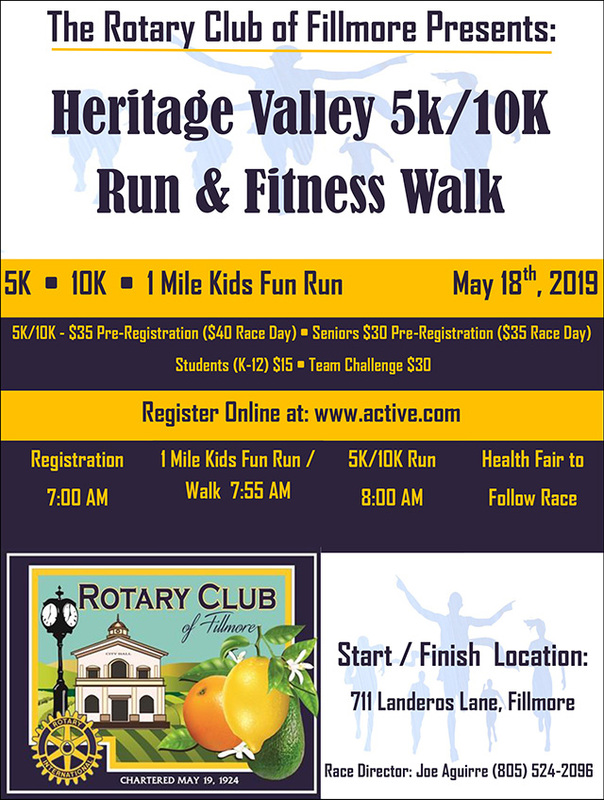 In order to complete registration, parents must have birth certificate, verification of adequate immunization for their children, verification of address (such as utility bill or driver's license), child's Social Security card. Parents must provide documentation that their child has completed a physical examination and oral examination. All four elementary schools have a supply of the physical examination form and forms for the dentist. Immunizations: Required doses of Polio, DPT, MMR, Hepatitis B and Varicella vaccines. For additional questions, contact the elementary school sites, San Cayetano School 524-6040; Sespe School at 524-6161; Mountain Vista at 524-8302; Piru School at 521-1709, or Martha E. Romero, R.N., District Health Coordinator at 524-6029. 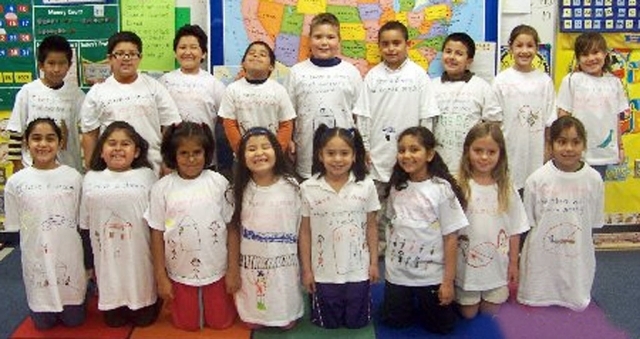 Mrs. Myers' 2nd grade class at Mountain Vista celebrated Martin Luther King Jr.'s birthday and the presidential inauguration by creating "Dream" t-shirts. Some of their dreams for the world are: no more wars, houses for all, money for the poor, no more drugs or smoking, everyone will have friends, and that everyone will recycle. This is the time and place to address the school board. State law prohibits the board from acting on issues not included on the agenda; however, requests may be made for discussion of specific topics at subsequent meetings. Mrs. Silva and Miss Cornejo at The Outdoor School with the 5th graders who went camping. 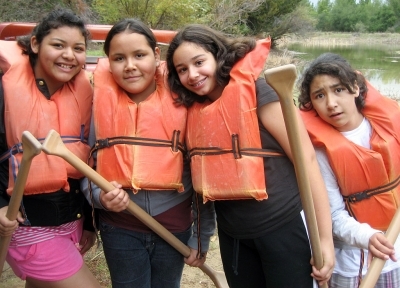 Thanks to the hard work of our family, friends and community, the 5th graders from Piru Elementary School went to The Outdoor School at Rancho Alegre this past January. 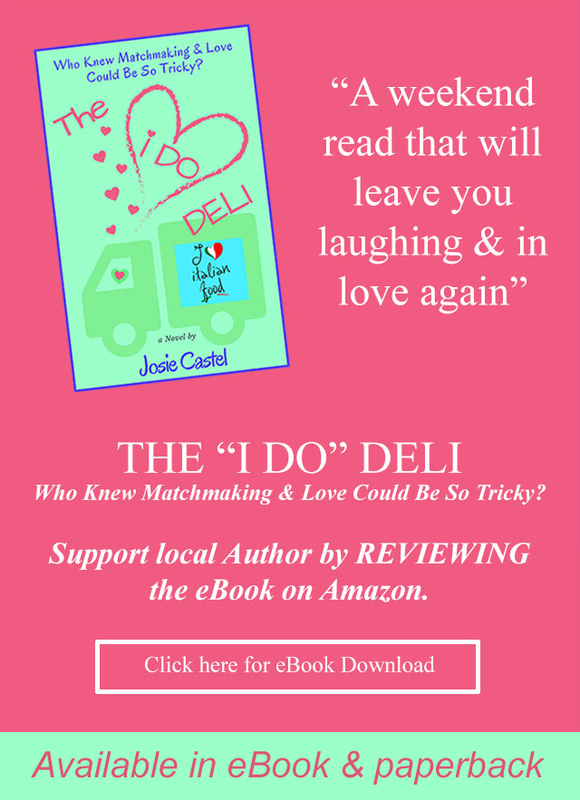 After months of fundraising and waiting, we did it! As teachers, our goal was to enrich the lives of our students by enabling them to develop their sense of the environment and community, many whom have never gone to summer camp, much less spent a night away from home. 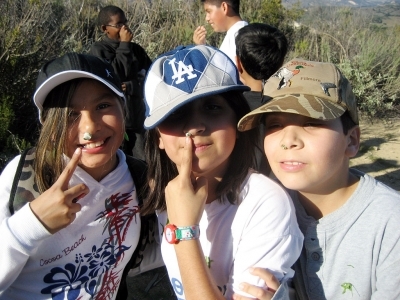 Through The Outdoor School, they were able to meet students from other Ventura county schools, go on hikes as long as 9 miles, use a bow and arrow, row a boat in a lake, sing camp fire songs, sleep in cabins, learn the ways of the Chumash, understand how fossils are formed, learn which plants are safe to eat, witness constellations, work together to solve problems, and most of all, try things they’ve never tried before. While we were at camp, we received visits from Fillmore Police Chief Tim Hagel, some Rotary members, a school board member, as well as our principal, Richard Durborow. They were able to see our students at lunch, and even some of them volunteering to wash dishes in the kitchen! When asked to share some thoughts about their experiences, here’s what some of the campers said: 1. “I wish I could go again.” – Jatziri R. 2. “If you go camping, it will be fun for you.” - Laura A. 3. “I think everyone needs to go to camp.” – Lupe A. 4. “Camp was exciting.” – Mirella M. 5. “I made a bunch of new friends.” Gaby A. 6. “I even made tea on our plant hike.” – Steven O. 7. “One of the activities was boating. It was really fun splashing water all over.” – Angeles E. 8. “I learned more about Science when we went on hikes. We learned about plants and animals.” – Veronica J. 9. 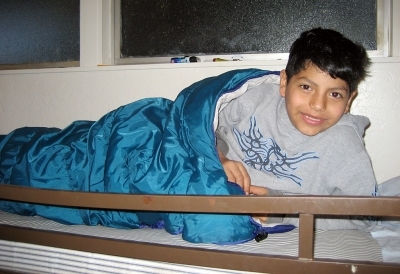 “It’s so fun to sleep in cabins with kids from different schools.” – Kimberly V. 10. “I really liked to go camping, I really learned a lot.” – Vanessa O. 11. “We got to learn the most important thing in nature is connections.” – Keylee T. 12. 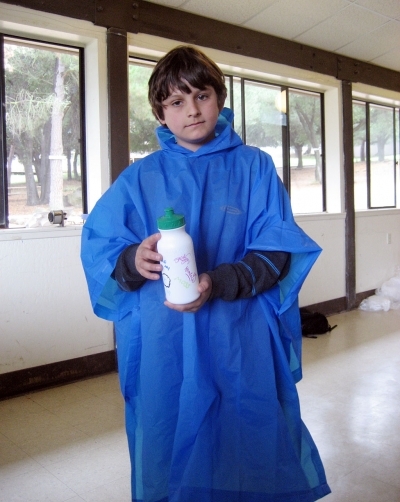 “I learned how to tell what poison oak is.” – John L. 13. “Camp was fun because I got to meet new people.” – Desiree G. 14. “I was very happy to go because that was the first time I went to camp and I worked very hard to go.” – Justinne L. 15. “We had fun on our hikes.” – Cheyenne A. 16. “I liked it when I dissected a squid.” – Jose R. 17. “Camp was so meaningful to me because I made lots of friends and I had lots of fun.” – Lindsey G. 18. “I went on the nine mile hike. Once I got to the top of the mountain it was really windy but so much fun and the view was beautiful.” – Marisela C. 19. “The special activites were so awesome, I couldn’t choose.” – Curtis P. 20. “I really had fun. I did the Waterfall Hike and did something called The Polar Bear Club. It’s when you can be under the waterfall for 20 seconds.” – Julyan R. 21. “I learned a lot about Science and won the Star Camper Award.” – Jennie G. 22. 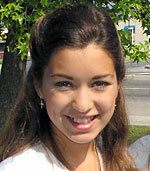 “Kids should go to camp because you’ll be having fun and doing school work too.” – Adriana N. 23. “I think camp is better than regular school because you learn in a fun way.” – Juan S. 24.”It made me a better person and respect the environment more.” – Tatem F. 25. “The 5th graders thank everyone that helped us go to camp at The Outdoor School at Rancho Alegre.” – Jackie T.
Many thanks go out to everyone that helped us get there: Friends of Piru, El Pescador Restaurant, La Verne Nursery, Fillmore Police Chief Tim Hagel, Fillmore Police Station, Cops Running for Charity, Fillmore Sunrise Rotary, Fillmore Noon-time Rotary, Piru Neighborhood Council, and Piru Parks and Recreation Council. Your belief in our goal made it all possible. The seeds we planted that week will grow in our students for many years to come. Sespe Cougars Getting Ready to “Walk their Paws Off”! 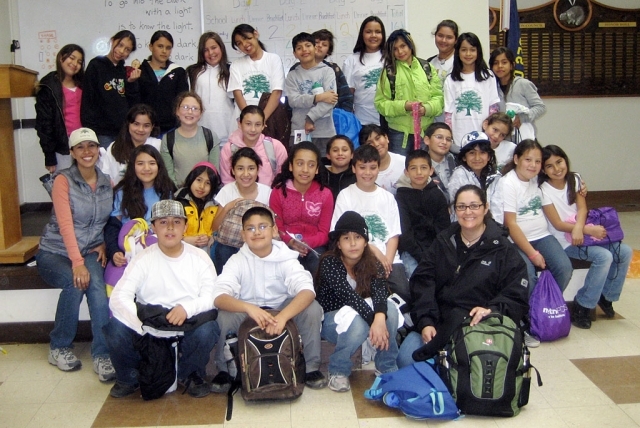 For the past 2 years walkers from Sespe Elementary School walked to raise money. On Friday, February 20th, they’ll lace up their shoes once again for Sespe School’s 3rd Annual “Walk Your Paws Off” Walkathon organized by the Sespe Parent Club. Over the last 2 years our students have raised enough money to donate $5000 toward the installation of our brand new playground equipment, purchase plants to help beautify our school (and get a mural painted! ), donate funds toward the purchase of A.R. prizes to help motivate our students to read, and more! For our Walkathon this year, we will give prizes for the 3 students who receive the most pledge money, for the student at each grade level who walks the most laps, and for the class that raises the most money – a popsicle party! We have music and snacks, and each student receives a Walkathon water bottle. It’s a great event that focuses on helping our school community, getting some exercise and being healthy. This year’s goal is to continue to raise money for the beautification of our school, to purchase needed supplies such as books, and to get our school garden going so the students can get out and do some hands-on science! If you’d like to donate, please make your check payable to Sespe Parent Club (100% of the donated money goes directly to Sespe School). If you have any questions call Sespe School at 524-6161.